Rebirth, Awakening, Revival. These are the words that jumped out at me when I did an online thesaurus search for “renewal.” Yes, I am THAT nerdy. I was trying to analyze a new chapter in my life, a huge move forward, and a decision to change my mindset on the one thing outside of my life with Jeana and relationships with my loved ones that brings me peace and joy. And that’s where I am at. It’s time to be reborn into the best athlete I can be. Awaken from this dreary cloud I have been stuck under. Experience a revival in my running and newfound enjoyment of moving quickly on my own two feet in the outside world and nature where I feel most at home. With much regret and personal feelings of fear and dissatisfaction, I decided that I am not going to start the Silverton Ultra Marathon next month. Sure, I could show up and trudge my way through it, finish, and feel like garbage at the end. That’s not for me anymore. I’m done. I realized this last Saturday as I slugged my way to finish up a mediocre 18 miles where I felt tired, weak, dehydrated, and under prepared around the 15 mile point. If I suffer through this short training run, how will I complete 60+ miles in Silverton? I am finished with haphazard training. Sure, I am experienced in running ultra-distances. My philosophy in 2015 where I felt much success was basic: More miles, more vertical. That’s it. Sure, I was able to finish these races, but not at a level where I felt truly prepared or particularly decent when I finished. I’m struggling with running up hills and I’m developing injuries with repetitive runs on the same terrain without anything to break it up. Cross training? I’ve slipped. Terminology and activities such as “tempo run,” “recovery run,” “heart rate monitoring,” “threshold,” and “VO2 max,” etc., did not exist in my vocabulary. Flat runs? Road runs? “No way!” Those things were not for me. I knew better and would enjoy myself and my training if I just went out without a schedule and did my own thing. No monitoring and measurement of my improvement or progress other than how I feel. How’s that been working out for you Josh? Answer: Not well at all. Last year, I helped my friend Gabe finish her first 100 miler at Run Rabbit. My first 100 miler. We ran a painfully tough 30+ something miles together. Neither of us felt good at all. And I hadn’t just run 70-something miles like Gabe had either, but we suffered together and she got to the finish line under the cutoff. 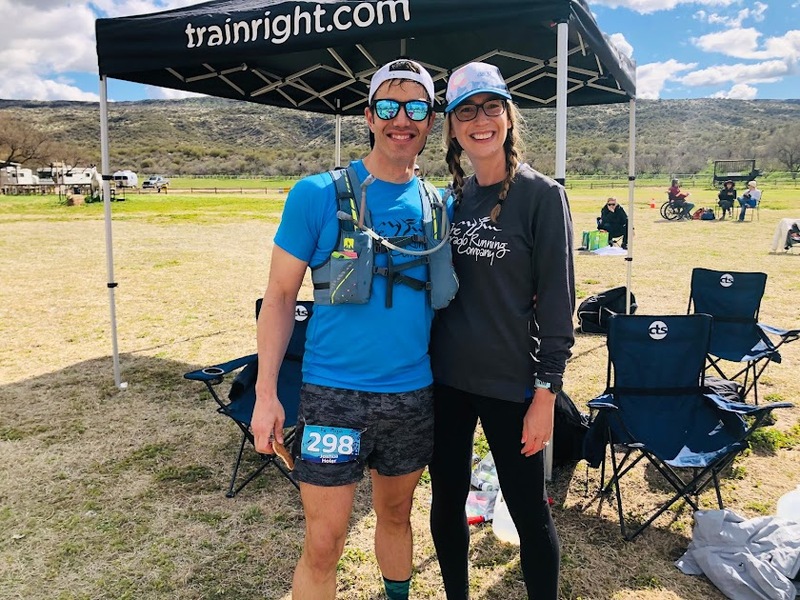 As a gift for helping, she gave me Jason Koop’s “Training Essentials for Ultra Running” book, which looked awesome, and I knew would be a fantastic read. However, I never picked it up until a few weeks ago. After having some hard conversations with some elite and talented runners I know and leafing through the first 15 pages or so, I was convinced that I needed help. I know of Koop. I’ve been exposed to his influence with elites and local athletes alike. Hell, in 2015, Koop’s wife blazed past me in the last mile of the Never Summer 100k. She also happened to be my daughter’s Freshman English Teacher. I’m lucky to have Koop and his organization in my hometown. So… apprehensively I started perusing the website for Carmichael Training Systems (https://trainright.com/) and the ultrarunning coaching program. They have a lot of awesome things from nutrition consults, to lab work and fitness testing. To my surprise I found out that one of their coaches is none other than Andy Jones-Wilkins (AJW). A man that I have admired from afar ever since hearing him speak on Ultra Runner Podcast many years ago. I gentleman who has run Western States 10 times! A man who understands injuries and aging. I called, spoke to Dominic, and then the next day AJW and I engaged in a 20-minute consult (which turned into an hour). We got off the phone, and I called Dominic back immediately telling him of the instant connection I felt and signed up. I am super excited to be working with AJW and partner in success. So here we go. I’m starting over and rebuilding myself into the maximum potential version of myself I can be. My goal is to qualify for Western States. It’s been a dream of mine since first reading about Dean Karnazes and watching “Unbreakable.” I qualified once, and lost it after the time off due to my injuries. No more. I am picking strategic goal races where I can maintain that qualification until the lottery lets me in. I am not 100% sure of what is in store for me, but I know with the right help and newfound motivation I’ll get there. Today, I will begin with an endurance run at a steady pace on flatter terrain as the first step of a ten-day intro program for the first phase, then begin to plan the future. I’ll keep you posted. I’m excited! Feel free to post comments, but keep them tasteful. My mom will probably read this blog.